I’ve said it here before. The gut is the largest part of our immune system and so it matters – hugely – what you put into it. Sugar and refined carbohydrates cause damage; fermented foods heal. I try to have a few bites of raw fermented food just before I start my evening meal, to set the stage for best digestion. Regularly consuming fermented foods like raw (unpasteurized/uncooked) sauerkraut, raw kimchi, raw kombucha, miso, or even plain organic yoghurt offers up friendly probiotic bacteria that supports a reslient, diverse community of microbes in your gut. 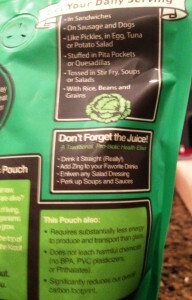 Sounds gross, but this is truly awesome stuff! 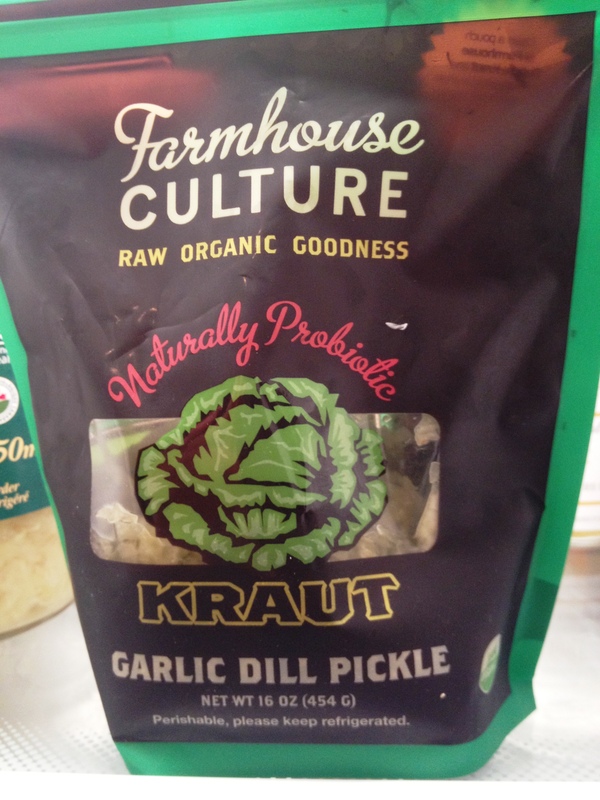 I could go on about how fermented foods help decrease chronic inflammation, moderate weight gain, strengthen the immune response, and ease constipation…but instead, let me share a new product that I stumbled across at Choices Market in South Surrey the other day. Yippee! 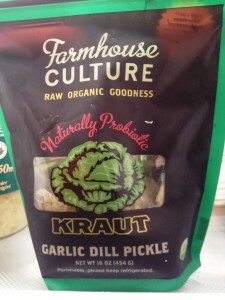 I have tried several different brands of really terrific raw sauerkraut, but I am always thrilled when I find a new product to try at my local health haunts. And yes, this one is a definite winner, with chunks of garlicky pickle deliciously interspersed throughout the cabbage. 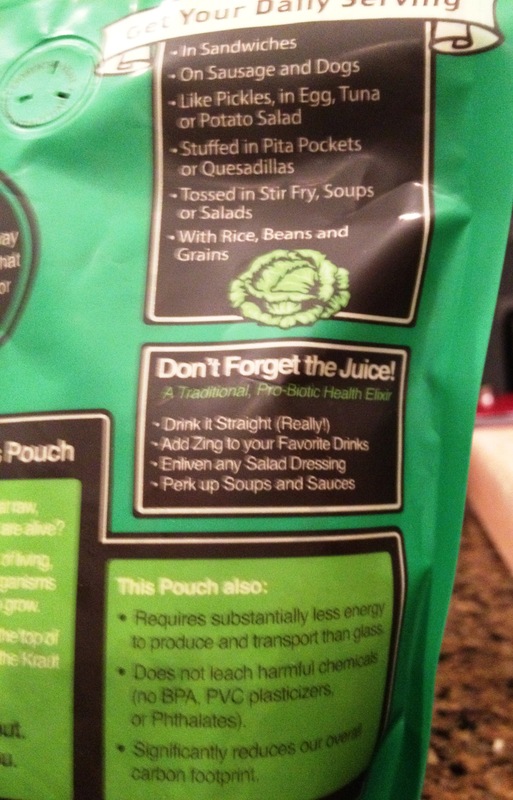 And yes, I drank the juice!